The Second Circle doulas are all experienced professional doulas that were carefully chosen to join MyBirth. In addition to their formal doula training and previous birth experience, all Second Circle doulas complete more than 36 hours of additional training and mentoring with the owners of MyBirth to better support their clients. They have attended between 5 and 35 births. A toLabor trained professional birth doula, Keisha is expecting to complete her certification in 2019. She has been attending births for eight years; her passion for birth work was sparked after experiencing the noticeable differences in care she received during the births of her own two daughters. 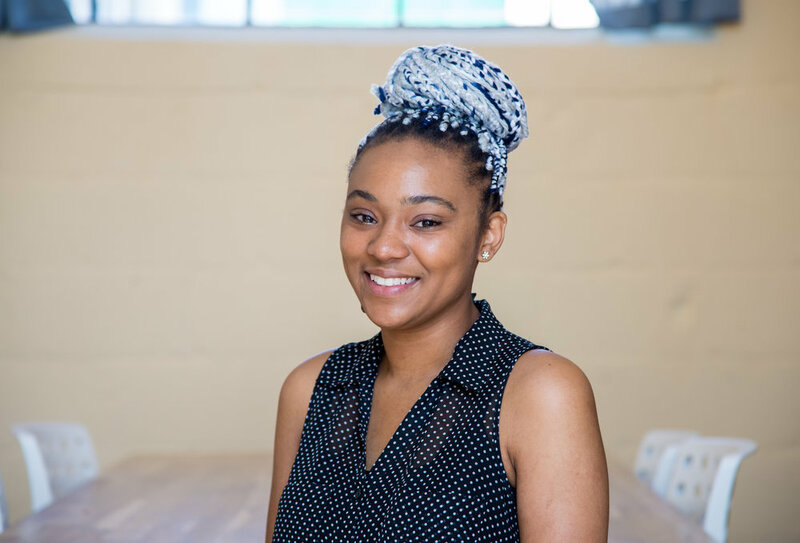 Though her general goal is to empower and educate all women and birthing people, Keisha's passion lies in her desire to bring awareness to the lack of safe, evidence-based care during pregnancy , childbirth, and early parenthood that is often present in minority communities. MyBirth is proud to have Keisha teaching our Low Intervention Childbirth Prep class at The Women’s Hospital at Henrico Doctors’ and of her work as a Community Manager for the online Birth Preparation Course for students of Dr. Nicole Calloway Rankins. Keisha is a Richmond native and enjoys laughing, reading, travel, and Game Of Thrones. Click HERE for Keisha's doulamatch profile, where you can find testimonials and info on availability. Bailey Robinson is a certified professional birth doula through ToLabor and a certified MyBirth Childbirth Educator. She has also expanded her skill set by completing a training in acupressure for labor and delivery and the postpartum/prenatal periods. Bailey draws from her experience supporting all types of families in the Richmond area, her extensive trainings, as well as her own personal and professional experiences with hospital and home births to support a diverse array of clients. She is dedicated to empowering families by educating them on their options, and giving them the tools, education, support and respect to advocate for themselves. Bailey believes that birth is an inherently safe process that can often times unfold on its own but that interventions are welcomed in the birthing space when wanted and/or needed. In her spare time she enjoys spending time with her two children, her partner and expanding her knowledge in the birth world. Click HERE for Bailey's doulamatch profile, where you can find testimonials and info on availability. Elise is a ToLabor trained professional birth doula currently working towards certification. She is also an IPPA trained placenta encapsulator, a CAPPA trained postpartum doula, and a Lamaze trained childbirth educator. Elise has also completed trainings and workshops in Acupressure in pregnancy and childbirth, Perinatal Loss and Grief, and Spinning Babies Techniques. Elise believes that education and unbiased support lead to each birthing family feeling empowered and informed when making childbirth decisions. She entered into the doula field after her own birth, and continued adding trainings to help extend her assistance through the postpartum time. After personally enduring a battle with postpartum depression, she hopes to help her clients feel supported through the entire childbirth experience including the fourth trimester. Outside of the birth world, Elise enjoys spending time with her partner and her son, growing and arranging flowers, reading, and trying out the many local restaurants and coffee shops Richmond has to offer. Click HERE for Elise’s doulamatch profile where you can find testimonials and info on her availability. Erin is a DONA International and toLabor trained professional birth doula currently working towards her certification. After 12 years as a board-certified music therapist specializing in neonatal intensive care, children with special needs, and early intervention, she is thrilled to make her passion for pregnancy, childbirth education and birth a part of her professional expertise. Having been an egg donor and surrogate for her cousins, she is especially excited to support families navigating the fertility process, surrogacy, LGBTQ families, poly and non-traditional family groups, and families with children with special needs. Erin believes that all bodies of all genders deserve the most satisfying, empowered birth experience possible. When she isn't nerding out about birth, Erin loves playing music, two-stepping, and bringing home way too many succulents. Click HERE for Erin’s Doulamatch profile, where you can find testimonials and info on availability. Ashley is a full spectrum doula, and Certified Lactation Counselor working professionally since 2015 through Birth Arts, Ancient Song, and the Academy of Lactation Policy and Practice. Ashley is a doula for everyone, but especially works to center the unique experiences and barriers people of color and LBGTQ folks face in reproductive healthcare, and has experience supporting families birthing at home, at a birth center, and in the hospital. Ashley's journey to professional birth and lactation support began with the births of her own two children. As a NICU mom who has experienced both vaginal and cesarean birth, and as an exclusive pumper that transitioned to exclusive breastfeeding, Ashley recognized a serious need for more knowledgeable, in-person, empathetic conversation and support. Ashley wants parents to feel confident in their ability to birth - and in the decisions they make for their family - by providing evidence based and culturally affirming care. Her goals are for birthing people to feel empowered in their experiences; heard, seen, witnessed, and supported.. Ashley loves seeing people grow their family any way that's right for them, but when she's not attending births, providing lactation counseling, or being an advocate/activist, she is filling her spirit with other creative projects: her children, partner, home apothecary, garden, fermenting, canning, and all sorts of cute DIY projects and crafts. Click HERE for Ashley’s doulamatch profile, where you can find testimonials and info on availability.